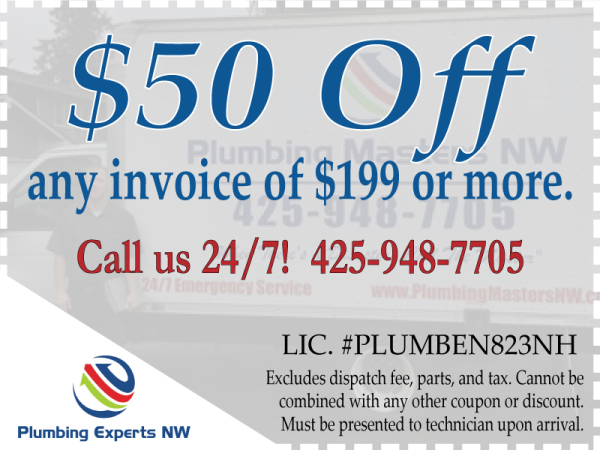 Plumbing Experts NW is pleased to offer our Lynnwood neighbors a discount on our plumbing service. Check back for new offers to use, and share with friends and family! 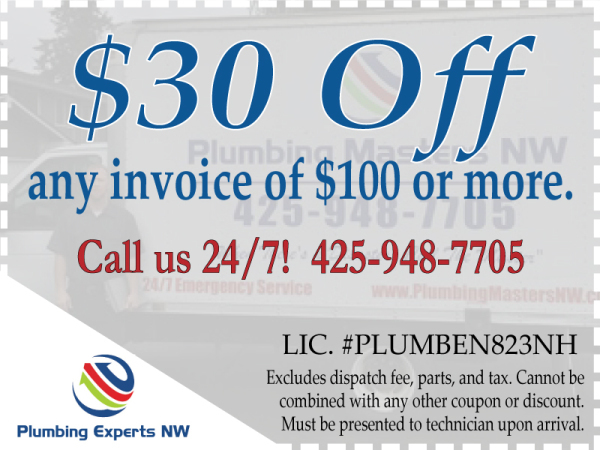 Use our plumbing coupons in Lynnwood areas for any service we offer. Plumbing, drain cleaning, water heaters and more. 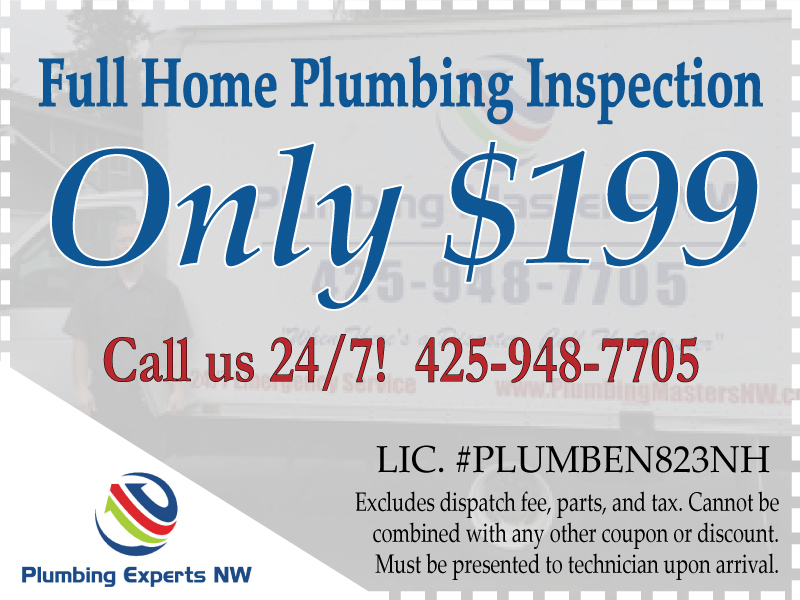 With water leaks, Lynnwood families need a company that will get their fast and fix it fast like Plumbing Experts NW. Sewer video camera inspections will give you the bottom line on whether you sewer line is intact or failing. We do water heater repair and replacement. 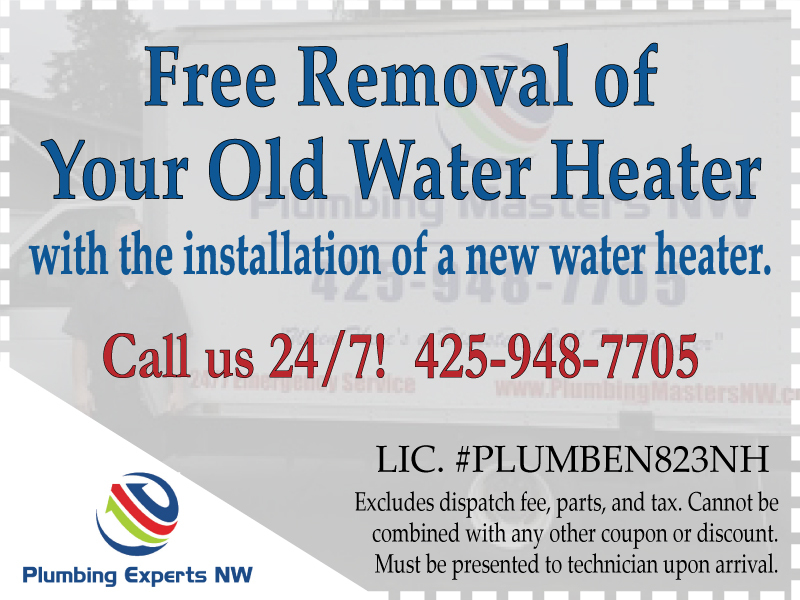 Use our plumbing coupon for a free haul-away of your old tank. Plumbing Experts NW clears drains and sewer lines with expertise. Lynnwood has been using our services for years. 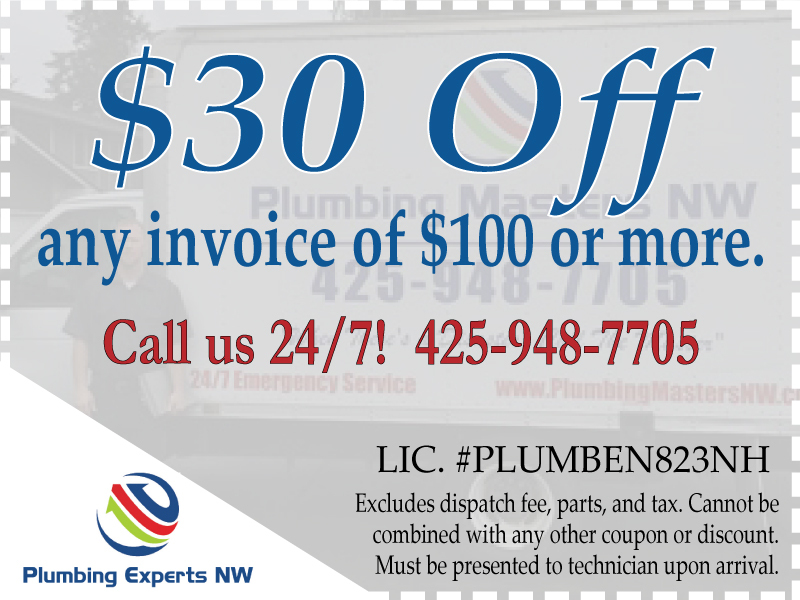 We handle all of your sewer line clogs or sewer repair needs. Our sewer experts will diagnose any issue.